LEAD JUDGMENT: TOM SHAIBU YAKUBU, J.C.A. a) AN ORDER DECLARING as lawful and valid the primary elections conducted by the APC (herein Plaintiffs party) under the supervision of the 3rd Defendants and security agent on the 3rd and 7th day of October 2018 for the purpose of producing candidates to vie for the various elective office which produce the Plaintiffs under the platform of the 1st Defendant. e) A DECLARATION that the 3rd defendant cannot refuse to accept and publish the list of candidates that emerged winners of the Governorship, National and State Legislative Houses Primary elections of the 1st Defendant in Zamfara State submitted to it for the 2019 general elections. j) AN ORDER of perpetual injunction restraining the defendants either by themselves, through their lawful agents, privies or assign from taking any steps towards cancelling/rejecting the result of the primary election held on 3rd and 7th October 2018 and monitored by the 3rd Defendant. The Appellants then stated that, at all material times all the Respondents except 39th Respondent admitted that after two unsuccessful attempts to conduct primary elections, they could not proceed to conduct primaries, but on the part of the 39th Respondent it asserted that even though primary elections were not conducted, it exercised its right to present list of candidates agreed upon by consensus. The 1st to 38th Respondents insisted that primary elections were conducted but the 39th Respondent’s electoral officer for some reasons best known to him refused to submit the list of winners of the primary elections to the Independent National Electoral Commission. The 1st to 38th Respondents sensing that their list of successful candidates might be rejected by the Independent National Electoral Commission rushed to Court and instituted suit NO. ZMS/GS/52/2018, claiming the reliefs set out above. The matter then went to trial, parties called witnesses and tendered exhibits, at the end of the trial judgment was entered in favour of the Respondents, the Appellants became nettled by the decision and therefore appealed to the Court of Appeal. 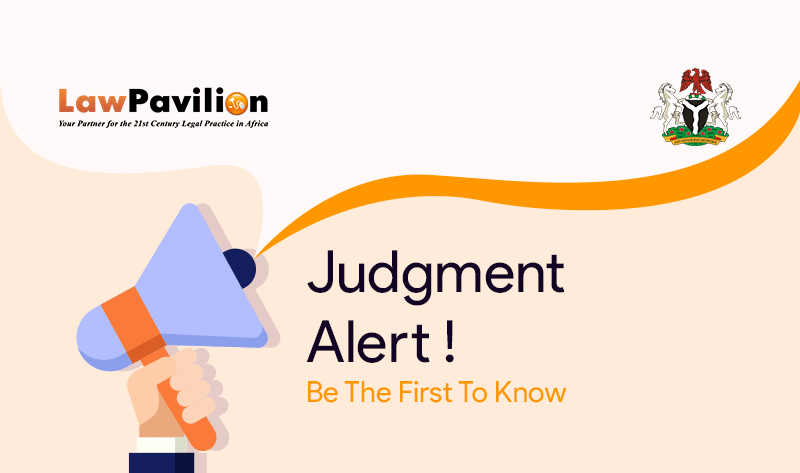 Whether having regards to the provisions of Section 251(1) (r) of the 1999 Constitution of the Federal Republic of Nigeria, as amended, the Court below has jurisdiction to adjudicate the claim of the 1st -38th Respondents. Whether the Court below was right in placing reliance on materials, depositions and documentary exhibits contained in and/or attached to the counter affidavit and further affidavit by the 1st-38th Respondents in opposition to the preliminary objection, to hold that the 1st to 38th Respondents are aspirants and have legal standing to institute/maintain and or prosecute the claim in suit No. ZMS/GS/52/2018. Whether the Court below did discharge the duty incumbent upon it to evaluate or properly evaluate and ascribe weight to the evidence led by the parties before it before coming to the Conclusion that the 1st to 38th Respondents claim was proved and granting the reliefs sought by them. Whether the Appellants right to fair hearing guaranteed by Section 36(1) of the 1999 Constitution of the Federal Republic of Nigeria (as amended) was breached by the Court below.